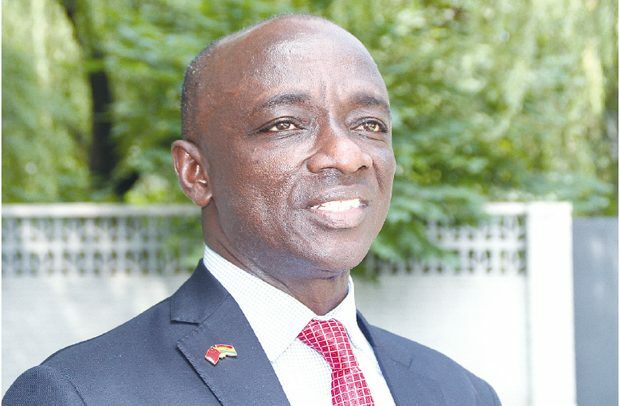 Ghana’s Ambassador to China, Edward Boateng, has assured Chinese investors that Ghana will offer them opportunities to invest in areas that will provide the needed commodities to feed the Chinese market. He said Ghana is prepared to work with China to mutually benefit their peoples. The envoy gave the assurance to Chinese investors, who attended a business and investment forum organised by Ghana as part of the China International Import Exposition in Shanghai to enable the country penetrate into the Chinese market. Mr Boateng said in the current global competitive environment, countries would have to find new markets to expand their trade and remain relevant. Ghana was one of seven African countries supported by China to participate in the exposition. Mr. Boateng said the challenge was for Ghana to take advantage of what China has offered and make inroads into the vast potential market that has been opened up to the whole world. Ambassador Boateng expressed his gratitude for the selfless commitment and devotion of the Deputy Minister of Trade and Industry, Carlos Kingsley Ahenkorah and Beryl Agyeiwaa Lomotey of the Ghana Embassy in Beijing towards the holding of the exposition. Economic Counsellor at the Chinese Embassy in Accra, Mr. Chai said there was the need for Ghana to reduce its trade deficit with China and pointed out that although Ghana is among the 10 leading trade partners of China in Africa, China enjoys a huge trade surplus with Ghana. He said the exposition was to open up the Chinese market to the outside world.